COMPETITION! 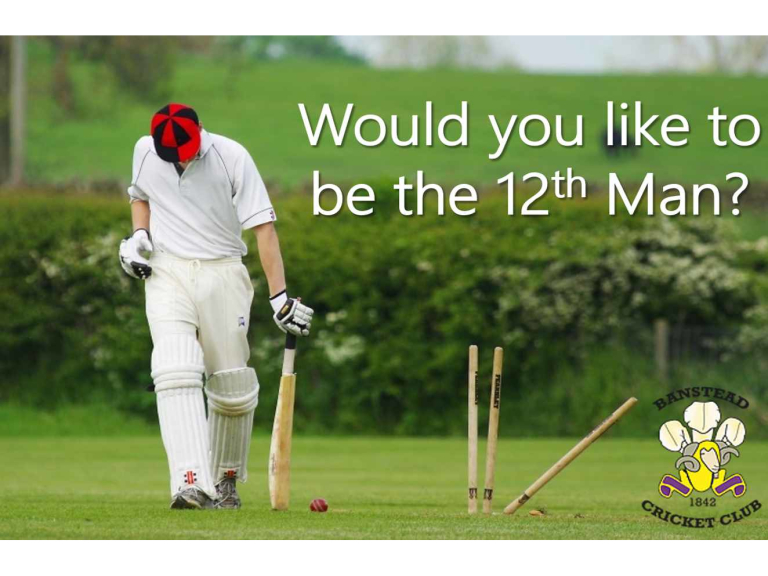 We have teamed up with Banstead Cricket Club to offer YOU the chance to be the 12th Man for the England Masters when they play Banstead on 26th August. A unique opportunity to be an integral part of this year's premier Surrey Event.